Obituary for Angela Carmela (Morretta) Lambriola | Doolittle Funeral Service, Inc.
Angela Carmela (Morretta) Lambriola, 90, of Middletown, wife of the late Vincent J. Lambriola, passed away at home on Monday, March 18, 2019. Born in New York, NY, she was the daughter of the late Paul and Jeannie (Mancuso) Morretta. Angela lived in Middletown for nineteen years and was a member of Saint Sebastian Church. She was a former vice president of the Middletown Chapter of AARP and a member of Altrusa International. Angela also lived in Montauk, NY for seven years, Bellmore, NY for thirty years where she taught Elementary school, Fayetteville, NC for a year and Brooklyn, NY for thirty-five years. 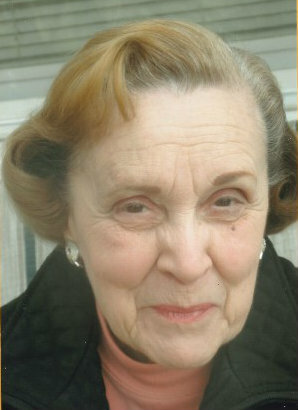 Angela is survived by two sons, Vincent Lambri and his partner Sharon Farmer of Burlington, CT and James Lambriola and his wife Claudia of Winterville, NC; a daughter, Linda Weiss and her husband William of Middletown; a brother Salvatore Morretta of Smithtown, NY and five grandchildren, Jenny Weiss, Emily Weiss, Sarah Weiss, Franco Lambriola and Victoria Lambriola. Funeral services will be held on Saturday, March 23 at 11:00 am from the Doolittle Funeral Home, 14 Old Church Street, Middletown followed by a Mass of Christian Burial at 12:00 pm at Saint Sebastian Church, 155 Washington Street, Middletown. Burial will follow in Indian Hill Cemetery. Family and friends may call on Friday evening from 5:00 to 7:00 pm at the Doolittle Funeral Home. In lieu of flowers, donations in Angela’s memory may be made to Altrusa International of Central Connecticut, P.O. Box 2532, Middletown, CT 06457 or American Cancer Society, 825 Brook Street, I-91 Tech Center, Rocky Hill, CT 06067-3045. To share memories or send condolences to the family, please visit www.doolittlefuneralservice.com.